So, it's official...sort of! 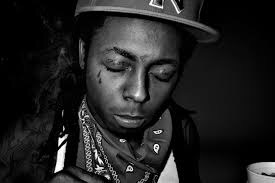 With a series of tweets today via his official Twitter account, rapper Lil' Wayne has stepped away from the rap game, citing his feelings of "defenselessness and defeat". The hip-hop world has followed for much of the past year as he has publicly feuded with Cash Money Records CEO Bryan "Baby" Williams over monies owed, among other things. The rapper tweeted, "I am now defenseless and mentally defeated & I leave gracefully and thankful." He went further by saying "I ain't looking for sympathy, just serenity." While no additional details were made available, one can only speculate as to why Wayne would make such a rash decision, but as it goes, to each their own. It definitely poses the question of what will happen with Young Money Entertainment. So how do you feel about it all? Should Wayne call it quits?